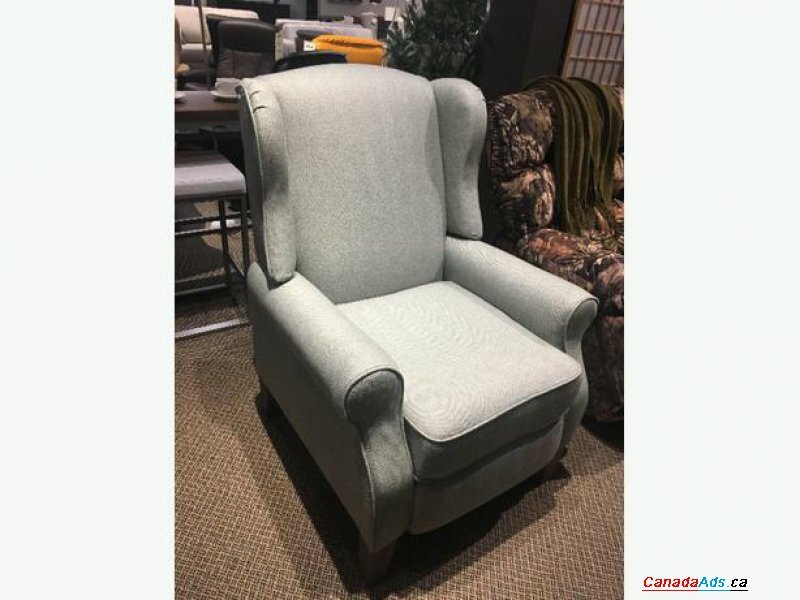 Fabric power recliner chair. On sale for $1199. See staff at Standard Furniture at 758 Cloverdale.